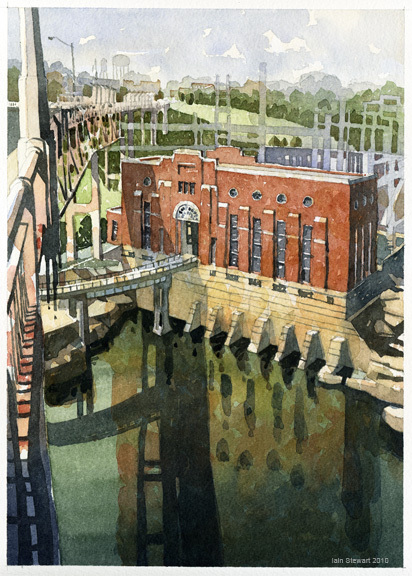 I'm extremely honored that my painting "Thurlow Dam from the Fitzpatrick Bridge" has been juried into the National Watercolor Society 91st Annual Exhibition. 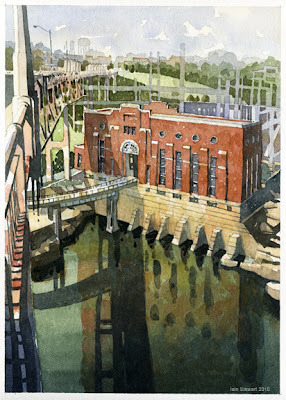 The Exhibition runs from October 22 - December 3, 2011 at the National Watercolor Society's Gallery in San Pedro, California. Congradulations, Iain! Your painting has such a fascinating perspective. Hi,Iain, Wow~~~,Congratulations! !All your work is wonderful and no wonder to be selected. Thanks so much guys. It's a big one for me. I really appreciate your kind comments. Congratulations!!! Such a beautiful painting! Congratulations Iain! It's a beautiful painting and you are well deserved by getting accepted into this year's NWS Annual Exhibit! Good watercolor is of great quality. I like the color. The composition is very risky. I really appreciate your kind comments my friends. Thank you. This is definitely a big honor to be included in the exhibit. everything about this is fabulous. The perspective, both in the drawing and the point of view is wonderful. Love the brushwork in the distance. Congratulations, Iain! What a wonderful honor for you and for NWS to have you as a Signature Member! Your prize winning painting is beautiful!